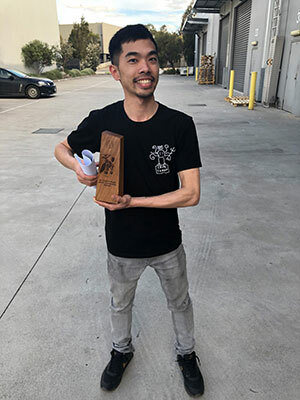 Zhao Ting Wu of Cote Terra Coffee in Oakleigh, Melbourne, has won the Australian Specialty Coffee Association (ASCA) Southern Region Latte Art Championship, held at Criteria Coffee in Victoria from 13 to 14 October. Aum Phithakphon of Hardware Société placed second and Victor Vu of Veneziano Coffee placed third. This was Ting Wu’s second time competing in the Southern Region Championship. “Last year was scary and my skill level was not as high,” he says. “This year, I had many people helping me. I knew my weaknesses so I found a coach who could help me improve in those areas. Ting Wu themed his designs around fantasy creatures. His first free pour design was named Guardian Griffin. “I wanted to create something with a bit of mystery,” he says. For his second free pour design, Dancing Octopus, Ting Wu drew inspiration from Cote Terra’s logo. “Our logo is a kraken, but that’s hard to visualise so I simplified the idea a bit,” he says. 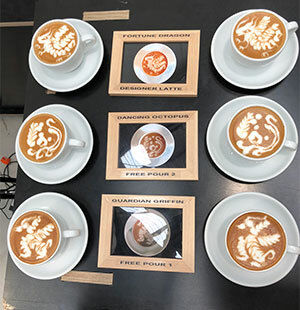 Ting Wu’s designer latte, Fortune Dragon, features a Chinese inspired dragon and returns to his mystery creature theme. He used various techniques, including rosettas and hearts to create his designs. “I did droppings to make the bubbles on the Dancing Octopus. I found that very hard to do, especially in two cups back to back,” he says. For baristas thinking about competing, Ting Wu recommends familiarising yourself with the rules and competition format, as well as mastering your art. “Read through all the rules so you understand them and practice until you kind of hate latte art,” he says. 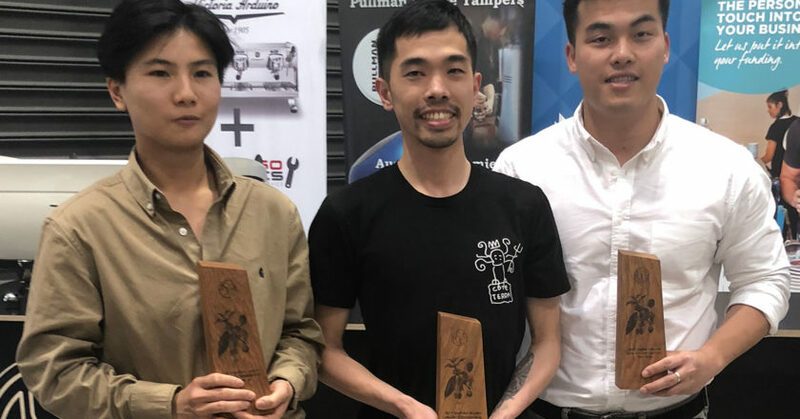 Ting Wu will compete at the 2019 ASCA Australian Latte Art Championship, taking place at the Melbourne International Coffee Expo from 7 to 9 February.